The Center for Food Safety (CFS) has condemned the EPA’s decision to approve Dow Chemical’s Enlist Duo herbicide – an alarming blend of 2,4-D chemicals and glyphosate meant to be used in conjunction with genetically engineered corn and soybeans. If anyone still believes the U.S. protection agencies are actually out to protect public health after this latest debacle, then I have a bridge I’d like to sell you. According to the National Resources Defense Council, there are dozens of studies which prove the toxicity of 2,4-D (2,4-dichlorophenoxy acetic acid), and we’re all familiar with glyphosate’s hideous track record by now. The stuff is a death trap for invertebrate animals all the way up the food chain to human beings. 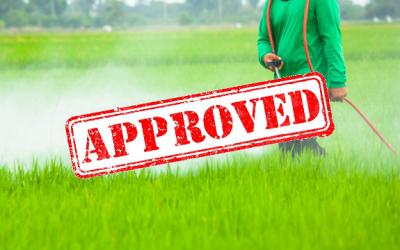 Now, the EPA has approved the double-whammy of herbicidal toxicity via ‘GMO agriculture’ – a combination of chemicals which have been linked to cancer, cellular damage, hormonal interference, and reproductive problems. Dow chemical’s 2,4-D was a component of Agent Orange, the toxic defoliant used during Vietnam, one which veterans are still recovering from today. The chemicals have caused non-Hodgkin’s lymphoma, Parkinson’s disease, and endocrine disruption, as well, with children at particular risk. The EPA’s assessment of Enlist Duo grossly overlooked the dangers of children being exposed to these chemicals – just one of numerous flaws in their analysis. So – what’s to worry about? Additionally, the EPA’s approval was the final hurdle for the heavily criticized new crop system and paves the way for commercialization and planting of more GMO crops, which are already choking out organic crops due to cross-pollination. 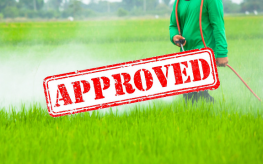 Sixty members of Congress signed a letter opposing the herbicide and GMO crops meant to be grown with the chemicals, as did 35 prominent doctors, scientists, and researchers. The well-known Dr. Oz has even asked Obama to stop the EPA’s approval of Enlist Duo. Over a million citizens have also voiced their opposition, with an additional quarter million contacting the White House in just the past 2 weeks. Dow Chemical presented 2,4-D resistant crops as a ‘quick fix’ for another problem created by biotech; Monsanto’s RoundUp and glyphosate chemicals have caused an epidemic of super weeds. This ‘solution’ is akin to giving a five year old more rat poison because they were poisoned with, well, rat poison. Even crazier is that even the USDA has acknowledged that the Enlist crop system will foster more weed resistance, a view held by many experts in the agricultural community. In fact, a peer-reviewed study published in the prestigious journal Bioscience in 2012 concluded that these new GE crops will trigger still more intractable weeds resistant to both glyphosate and 2,4-D.
We can count on an additional 7-fold increase in the amount of 2,4-D that will now be sprayed on our crops – up to 176 million pounds per year – even according to the USDA’s own analysis. The Nuremberg trials convicted the first CEO of Bayer (Ter Meer) as a mass murderer. The US then brought him and other psychopathic criminals to the US (Project Paperclip)and the research began and we citizens were the new concentration camp victims. While being fed the nonsense that we have the healthiest nation, we rank the sickest of all. Europe has mostly banned dioxin while we are aerosol sprayed by DARPA with aluminum, barium strontium and other chems), our weather controlled by geoengineering (see geoengineeringwatch and watch Why in the World Are They Spraying on you= tube.) We are like zombies …walking in a daze and allowing ourselves to be poisoned and then used by profit-driven medical systems when needing help. Hillary told a genetic engineering convention that anyone who does not believe that GMOs are safe are ignorant and that she spread GMO seeds all over Africa by calling them drought-resistant rather than GMOs. I guess she believes Dioxin is safe, but you can bet your sweet patootie that she won’t eat it. Beware the spin doctors. Don’t eat grocery store foods…buy from natural farmers that you know. Avoid allopathic medicine and pharmaceuticals. Back to nature and vote the corporate shills out of office. If I were to feed this poison to someone, I would be arrested and jailed for attempted murder. This agency is a puppet of commerce. It has no charter to protect the citizens of this country. Only charter is has is to allow immediately non-lethal toxic substances, which profit commercial producers, to be used. The eventual deaths and sicknesses which result are not this agency’s purview. One good way to stop this is to legislatively disestablish this poor excuse for commercial patronage.